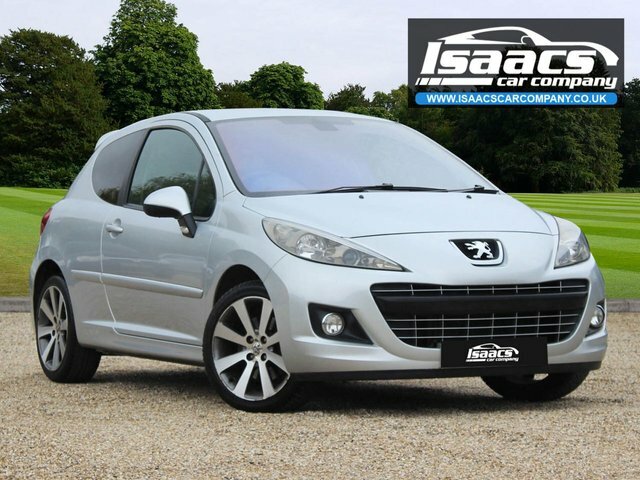 Come to Isaacs Car Company Ltd today to find a superb selection of used Peugeot 207 superminis for sale in Billericay. We're a leading supplier of quality used cars, selling everything from compact city models like the Peugeot 207 and sporty two-seaters, through to spacious estate models and MPVs. No matter what type of vehicle you're in the market for, or your budget, our team will do everything possible to find the right used car to suit your requirements. Browse our latest stock of used cars here on the website and be sure to contact a member of the team for more information and to arrange a test drive in the vehicle of your choice. Finance is available to UK residents aged 18 years or older, subject to status. Terms & Conditions apply. Indemnities may be required. Other finance offers may be available but cannot be used in conjunction with this offer. We work with a number of carefully selected credit providers who may be able to offer you finance for your purchase, commission may be received. We are only able to offer finance products from these providers. Postal Address: Isaacs Car Company Ltd, Unit 1, Oak Lodge, Oak Road, Billericay, Essex CM11 2YG. Find contact details here. Isaacs Car Company Ltd is authorised and regulated by the Financial Conduct Authority, FRN: 825230. All finance is subject to status and income. Written Quotation on request. We act as a credit broker not a lender. We work with a number of carefully selected credit providers who may be able to offer you finance for your purchase. We are only able to offer finance products from these providers.